Size of Baby (per “What To Expect”) – Size of a butternut squash. Approximately 3-4 pounds. Weight Gain – 20 pounds. Still almost a pound a week. Movement – Lots of it. Particularly in the middle of the night. Sleep – With a lot of movement in the middle of the night, I have had more trouble than my last pregnancy sleeping through the night comfortably. I toss and turn, and toss and turn. What I miss – Not much. I have really been trying to take advantage of every little bit of extra time that I can get before baby number two gets here. That means getting together with any and everyone that I can. Best Moments this Week – Did you see the update on my daughter and I’s well visits? She had a great 15 month appointment, and I had a normal 30 week pregnancy appointment. Let’s hope that we continue to get good news! 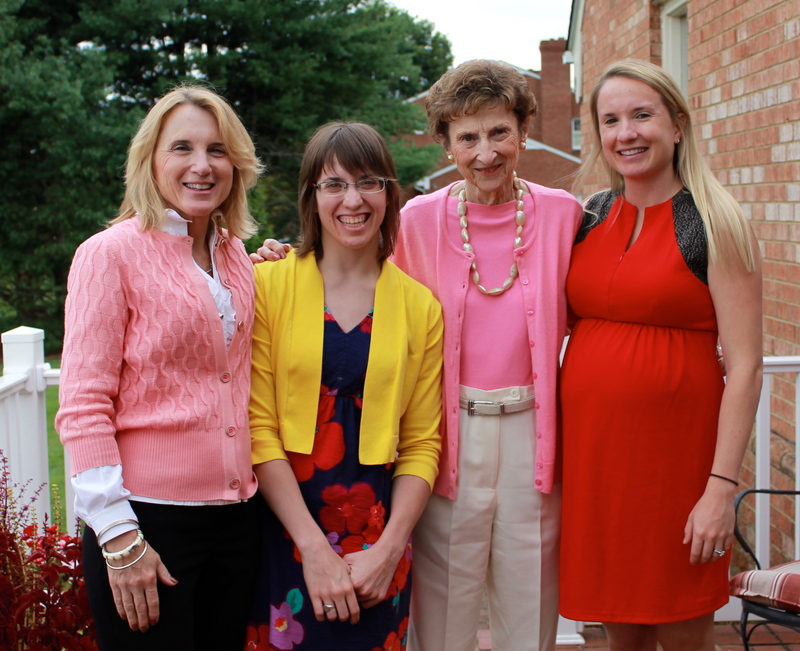 My sister flew into town to celebrate her birthday with my family in Charlotte. 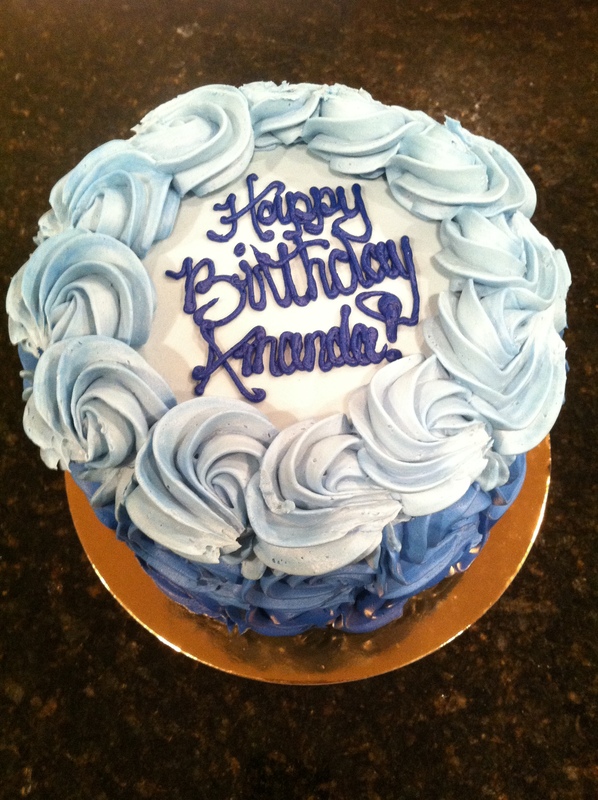 My mom picked up a small cake from Suarez Bakery located at Park Road Shopping Center. The visit and cake were a treat for my daughter. She absolutely adores my sister. 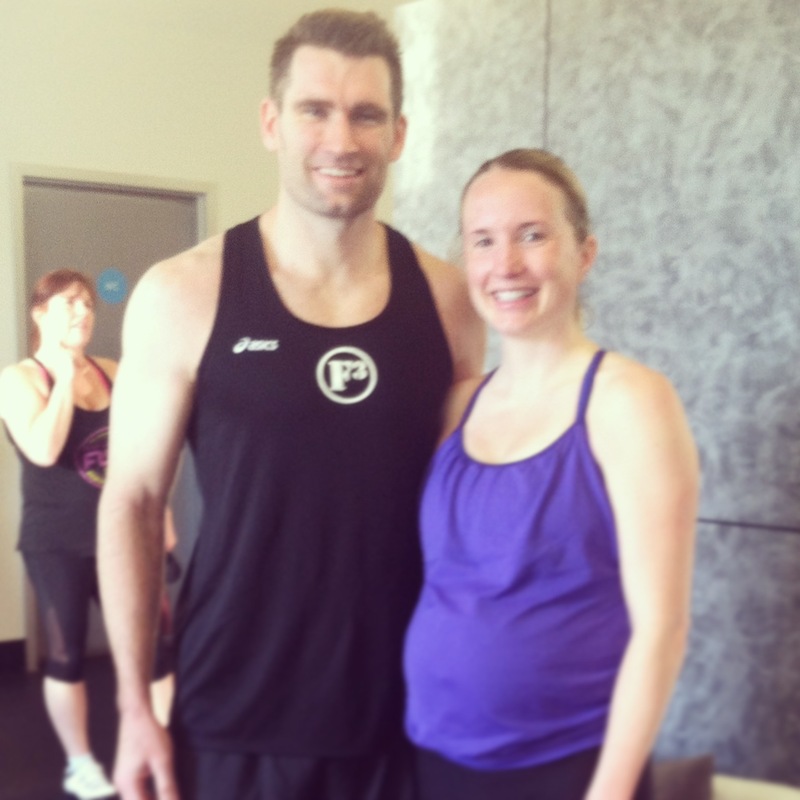 With my sister and parents in town, we had someone available to watch my daughter so my husband could jump in my Sunday Flywheel class. He doesn’t get to ride much. When he does ride, it likely isn’t with me. What a great time. Riders recognized him and really had a great time cracking jokes about the fact that they haven’t seen him in awhile. I spent a good part of the weekend pulling out bins of my daughter’s first year clothes. I can’t believe our new baby girl will be here in less than two months. As I pulled out the newborn and three month clothes to add to her drawers, I couldn’t help but notice how small they are. It is hard to believe that my daughter was ever that size. 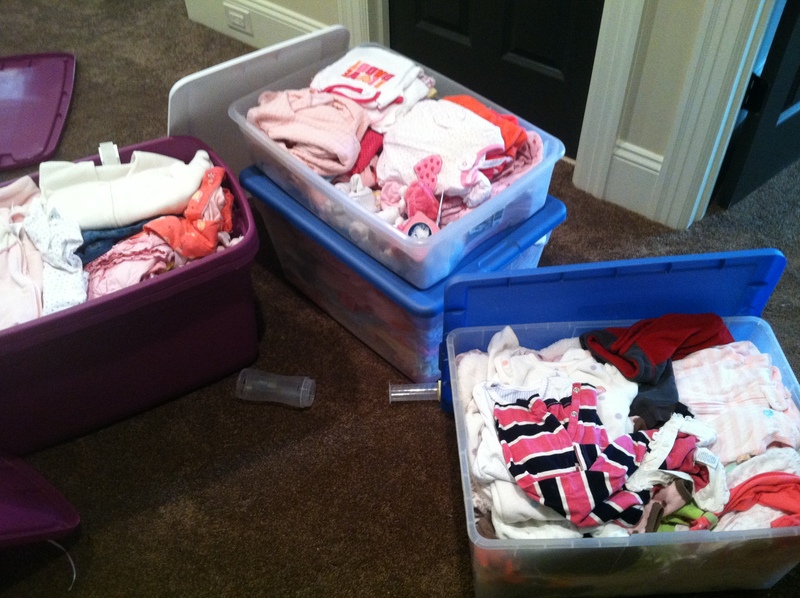 It is also hard to believe how many clothes we already have (that are pink nonetheless). Looking forward to – My next doctor’s appointment. Next Monday. Back to my regular doctor. 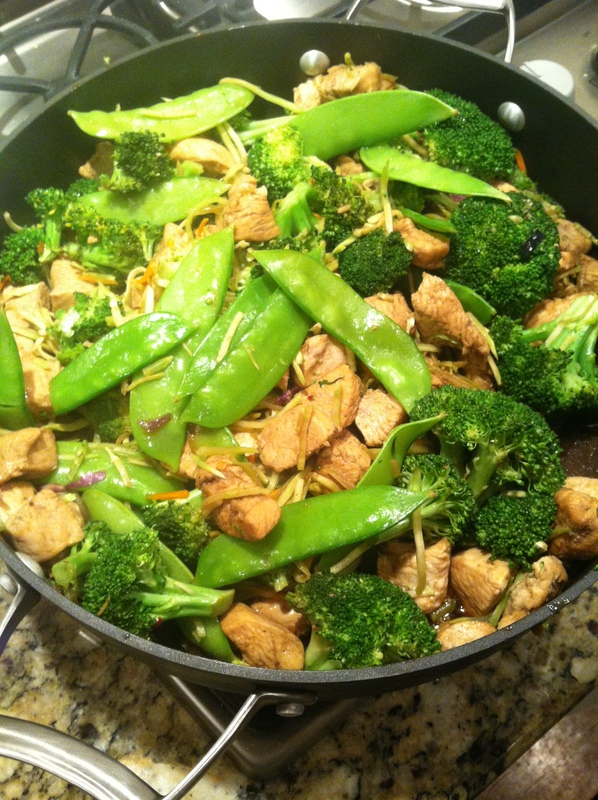 Cravings – Any and all food, but spicy thai is the theme of the week. Fresh summer rolls and stir fry! Sunday dinner curbed that craving. Click here for recipe! Symptoms – My belly popped yet again. It just keeps going out. My husband seems to think that my belly now is where it was at 40 weeks with my first child. I can’t help but think that perception is because of the fact that I weigh less than I did at this time with the last one. My body is skinnier all over, making my belly look bigger. When I look back at my baby blogs for my first daughter, I had gained 22 pounds by week 31, but I started 5 pounds heavier. That leaves me 7 pounds heavier at the same point in this pregnancy as my last. The picture below was taken when I was 31 weeks pregnant with my first. 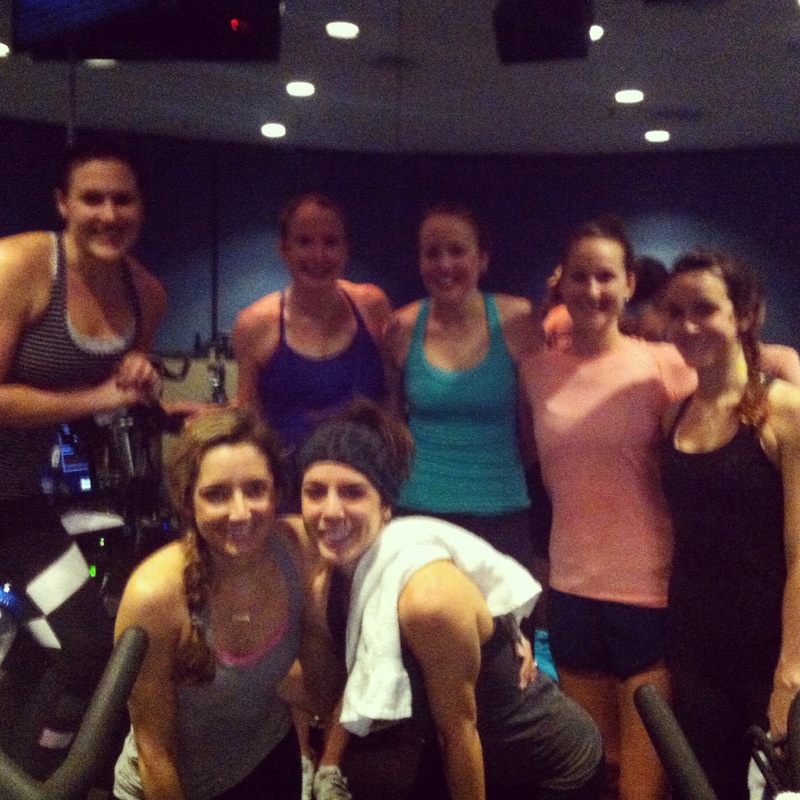 Workouts – I taught at Flywheel Charlotte ALOT this week. The trend will continue through the end of the following week, before I start to back off the number of classes that I am teaching. Fortunately, I am still feeling good. Thank you ladies of Lululemon Southpark for jumping in my Thursday class! Monday – Tracy Anderson Pregnancy DVD. Tuesday – Teach Flywheel Charlotte. Wednesday – At home strength workout. Thursday – Teach Flywheel Charlotte. Saturday – Teach Flywheel Charlotte. Sunday – Teach Flywheel Charlotte. This entry was posted in Staying fit, workout and tagged active pregnancy, fit pregnancy, Flywheel Charlotte, healthy thai recipe, lululemon southpark, Suarez Bakery, week 31 pregnancy on January 26, 2015 by flyjenduf.